There now follows a whistle-stop tour of the features to look out for when choosing the best index trackers for your portfolio. I use this rundown as a quick checklist to help me navigate the investing minefield without being reduced to bloody stumps. Even in the relatively benign terrain of passive investing, you can too easily choose a wealth-damaging product if you don’t tread carefully. Note: I use the term index tracker here to refer to BOTH index funds and Exchange Traded Funds (ETFs). I’ve split the checklist into four parts (watch out for parts two – four over the next few weeks), as it would be a lot to digest in one helping. Once you’ve bought your first fund or two, you should be able to skim through the checklist at speed, just using the big blue sub-heads to keep you on track. Each index tracker focuses on a specific part of the investable market. Do you want to hold equities or bonds, property or commodities? You can keep things simple with total market type funds that hold a broad mix of an entire asset class. iShares MSCI World ETF, for example, represents the entire developed world equity market in one fund. Alternatively, you can select exposure to subsets of each asset class. Most equity funds diversify by geography and size. Bond funds mostly diversify by geography, quality, duration and anti-inflation (or not!) characteristics. Knowing which index your potential fund tracks is as important as knowing which route you’re going to take to work. You can’t get to where you’re going without that underlying understanding. Which asset class it covers. How representative of the market is it? E.g. The FTSE All-Share covers around 98% of the UK investable market while the FTSE 100 accounts for less, about 81%. Is the index concentrated in particular sectors, companies, or countries? Is it liquid? Trading costs rise for stodgy indices. What are the index rebalancing rules? The more companies drop in and out, the higher the turnover costs (see checklist part two). Is it subject to any special rules? Most indexes are market cap-weighted, but some are price-weighted or select firms by certain fundamental measures. Which version of the index are you tracking? An accumulating fund should track a total return index. An income fund should be compared with a price return index. Do the index holdings overlap significantly with others in your portfolio? Index trackers breakdown into index funds and Exchange Traded Funds (ETFs). Index funds are simpler to use and have a longer track record of doing a job for passive investors. ETFs are innovative, more flexible, are multiplying like devil spawn and require a deeper understanding to use without hazard. The practical difference between those two structures is negligible for passive investors. Exchange Traded Commodities/Currencies (ETCs) – track oil, gold, cattle, renminbi etc. Exchange Traded Notes (ETNs) – a debt instrument for tracking hard-to-reach indices. Avoid unless you know what you’re doing. Certificates – Essentially the same as ETNs. For completion sake, there are also one or two investment trust trackers on the market. They’re only worth a look if you understand the complexities of trading ITs at premiums and discounts. Full physical replication – The fund holds every security in the same proportion as the index. Sampling/Optimised – The fund holds a representative cross-section of the index because it’s too expensive to hold every security. Replication is physical, but tracking error is likely to be higher in comparison to full replication. 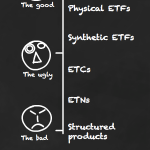 Synthetic – So-called synthetic ETFs use derivatives known as total return swaps to earn the return of an index, without having to hold any of its component securities. Swaps are good for tracking error but they expose you to counterparty and collateral risk. 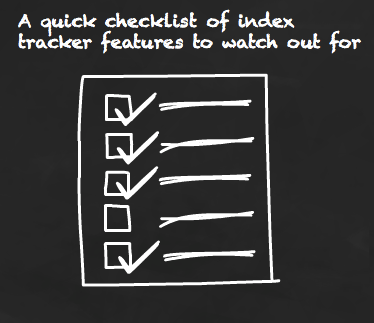 That wraps up the basic criteria I think about when choosing the best index trackers out there. 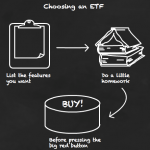 Part two of this checklist looks at costs, part three exposes some of the lesser publicised tracker wrinkles you need to know about, and part four looks at ETF-only quirks. Personally i have my SIPP with Hargreaves Lansdown as there is no annual management charge on funds. I have a range of index tracker funds from HSBC that have a low TER of 0.25 to 0.37%. But HL do charge an annual management fee on other types of investments ie. 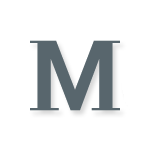 shares Investment Trusts etc. So i tend to hold them elsewhere within my ISA. Be careful with H-L and read the small print as when buying some low cost trackers they do introduce an AMC albeit capped at £200 pa. Under the fees and charges (http://www.hl.co.uk/pensions/sipp/charges-and-interest-rates/charges-and-interest-rates2) they detail “Free for cash and more than 2,400 funds 0.5% for other investments, capped at £200 a year (charged monthly in arrears)”. Unfortunately the index trackers that I’m interested in don’t seem to be in the list of 2,400. For example if you look up the Fidelity Moneybuilder UK Index Accumulation Units you will see the annual charge as 0.1% (TER 0.3%) however the small print reveals “¹ Additional annual charge of 0.5% is applied to this fund when held in the Vantage ISA and SIPP (capped at £200 per account). This additional charge is not accounted for in the Total Expense Ratio quoted above.” Not so cheap all of a sudden. To make matters worse H-L also does not let you hold Vanguard funds which have IMO some great index trackers. For example Vanguard FTSE U.K. Equity Index with a TER of 0.15% albeit with a purchase fee of 0.5% (to cover stamp duty I believe). But if you are buy and hold you are going to struggle to do better than that from a fees perspective over the long term. IMO H-L is not the best place to build a low cost tracker SIPP. I’ve written about this in the past in my blog and am just working through it again in more detail in preparation for a move. My previous post came up wth Sippdeal and Alliance Trust as good places for a low cost SIPP. At the time I was leaning towards Alliance Trust as they were at the time the only SIPP (that I knew of) that would let you hold Vanguard. In reviewing this again it looks like Sippdeal is now also allowing Vanguard to be held which is great news. I haven’t finished checking my numbers yet but for the low cost SIPP I am looking to construct it looks like it will be close between both providers at somewhere around 0.3% pa (compared with about 0.5% for H-L). Note that this is for my own pension portfolio which I will post about over the coming weeks as I move into a SIPP and includes amortising expected annual trades, admin charges and custody charges. On a different note, what happens to the dividends when you hold an accumulation index tracker? Do they somehow get incorporated into the price of the units? E.g. if you held a bunch of units in an Acc FTSE all share tracker for 10 years, over that time span the index didn’t move, but plenty of the constituent stocks were paying out dividends would you be up at then end of it? Ben, you’ve got it in one. If you take a look at an index fund that comes in accumulation and income classes, the accumulation fund should have a higher share price due to the rolled up dividends. This will seem like an extremely silly question, and I apologise! If I am putting a monthly amount into a tracker, then the number of ‘shares’ I can put into the index will vary depending on how much the index has risen/fallen right? What I mean is if I end up buying at 100.00 and I only have £100, then I buy 1 share. However, if the index falls to 50.00 and again I invest £100, then I have 2 shares, but all 3 shares only become profitable if the index rises above 100 correct?? or does buying more at lower prices and less at higher pricess simply negate?! @AMD — You’d have one share bought at £100, and two shares you bought for £50 each. Therefore your average price would be £200/3 = £66.67. In your analogy the index started at 100, and fell to 50. Given the calculation above, you’d be in profit if it rose to £66.68.